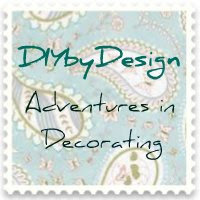 I was recently reading a post from KariAnne from Thistlewood Farms about beginning blogging. Although I have been blogging for over a year, I'm always open to good advice. She suggested that treat the content of your blog like you would a lunch date with a good friend. What would you talk about? Don't worry, I would likely spend most of lunch talking about furniture or what do to with my bathroom, but there is a side of me that I haven't shared with you all yet. I LOVE to bake! Seriously, I go through powdered sugar like nobody's business. I consider baking to be a considerable portion of who I am. I have been urged by family and friends for years to go into the baking business. I don't see that path in my future, but I figured it was time to start sharing some of my favorites with you. Let me know what you think? Do you guys like the recipes? Or should I go back to the garage? Anyways, on with the sugar! I am a french macaron fanatic. Yes, I enjoy coconut macaroons as well, but I have a soft spot in my heart for these crispy, chewy, sweet medallions. In my annual Christmas treat bags, I included a few chocolate hazelnut macs this last year. They were a huge hit! If you've never tried a french macaron, then you haven't lived. Here is your chance. They can be a bit tricky. I decided to post a simplified recipe. I've had good luck with it, but don't feel discouraged if you end up with a few air pockets or hollow tops. They will still be delicious. Walking through Trader Joes's last week, I discovered something amazing! 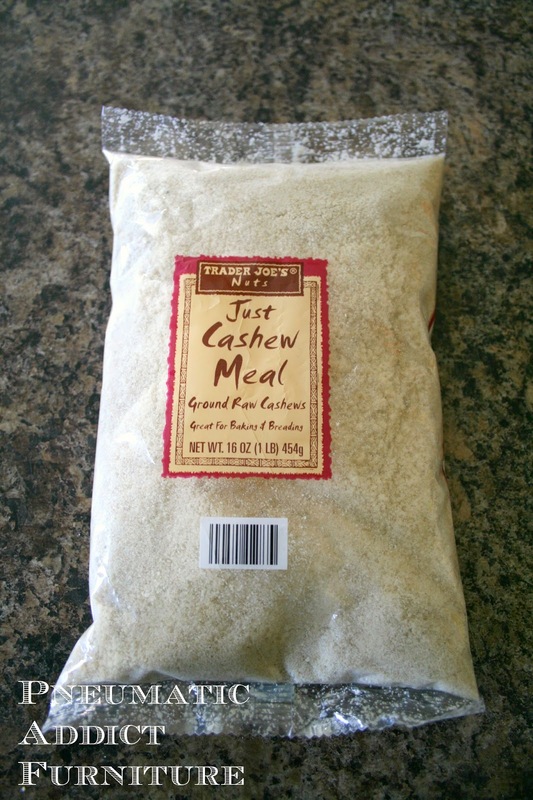 They now sell cashew meal (sometimes called cashew flour), and for less than $5 a bag, I decided I needed to go buy some and experiment. Traditionally, macarons are made from finely ground almond meal, so if you don't have a Trader Joe's close by, you can use almonds. You just won't have the rich, buttery flavor of the cashews. Either grind your own raw almonds in a food processor, or Bob's Red Mill sells bags of pre-made almond meal, found in the "gluten free" section of most grocery stores. In a medium sized bowl. Measure your cashew meal. Measure and add your powdered sugar. Make sure to use exact measurements. 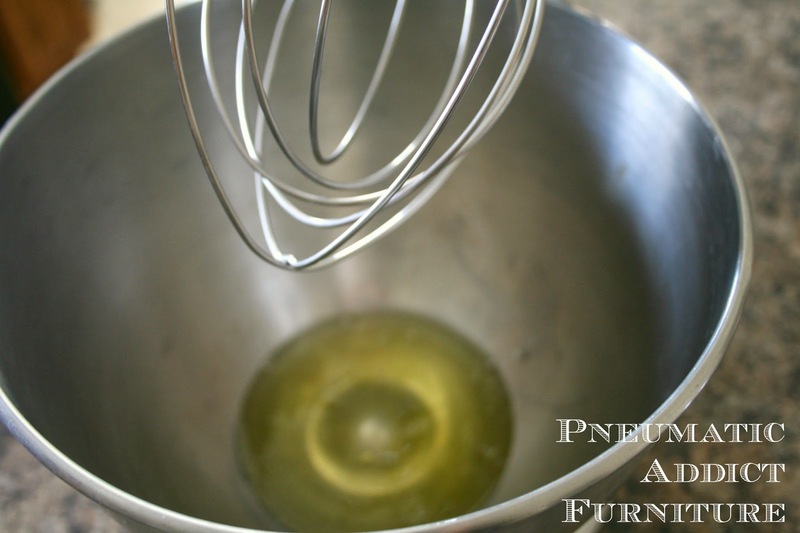 Blend together with a wire wisk. 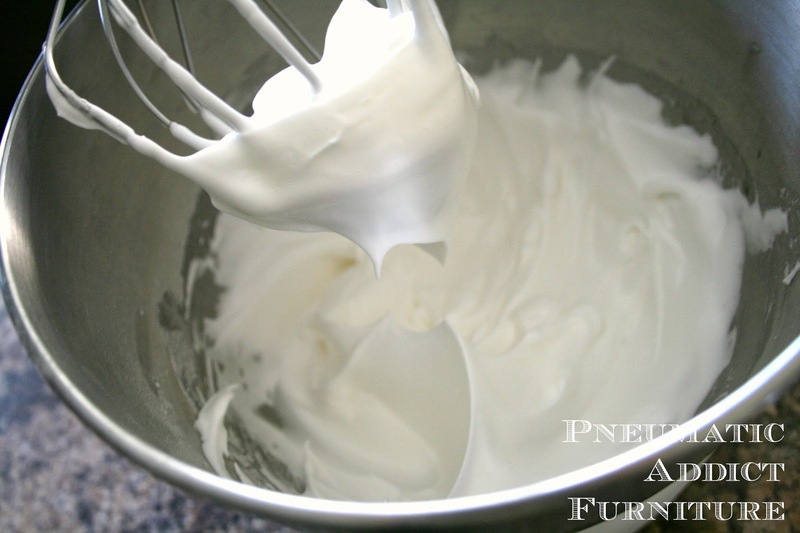 In a stainless steel bowl, add egg whites and begin to beat with a wisk attachment. Once the whites begin to foam, slowly pour in the granulated sugar. Continue to beat. My personal preference is to beat the whites somewhere between soft peak and stiff peak stage. 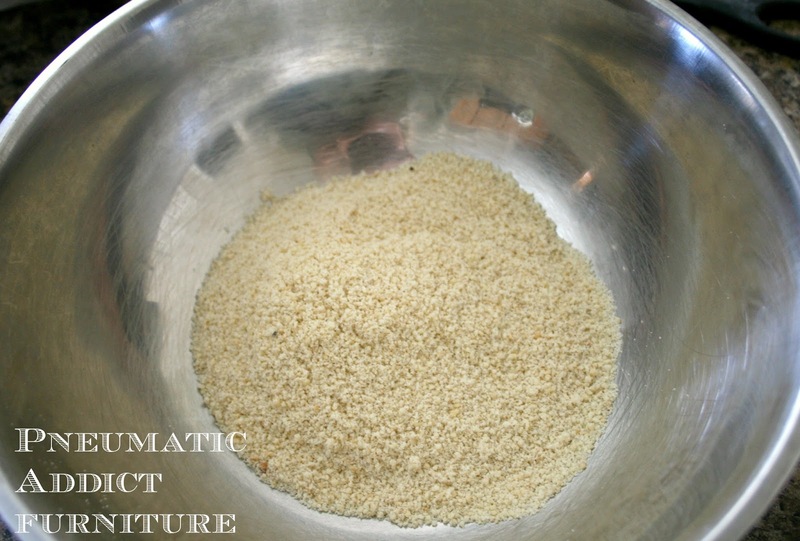 Incorporate the dry ingredients and begin to fold in. This is the important part. Fold approximately 40 times. 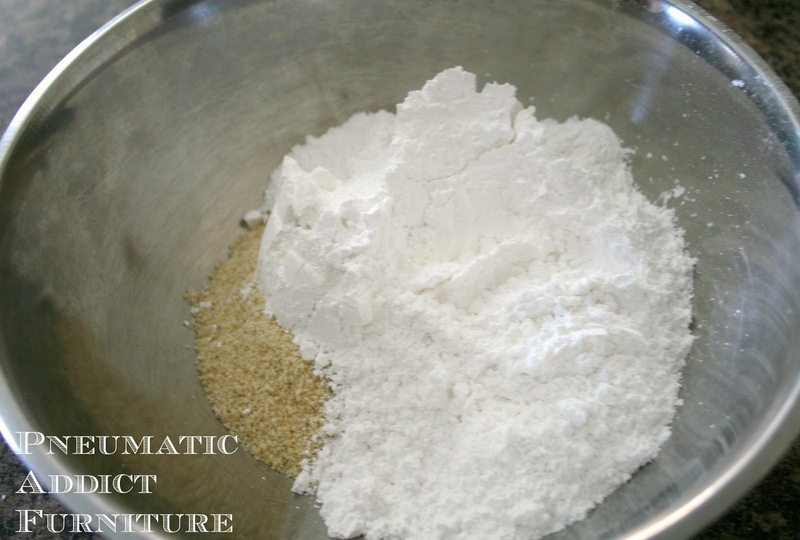 You wan't the dry ingredients to be fully incorporated, but be careful not to over mix the batter. It will ruin your macarons! You are looking for the consistency of molten lava. Insert an extra large, round tip into a pastry bag. 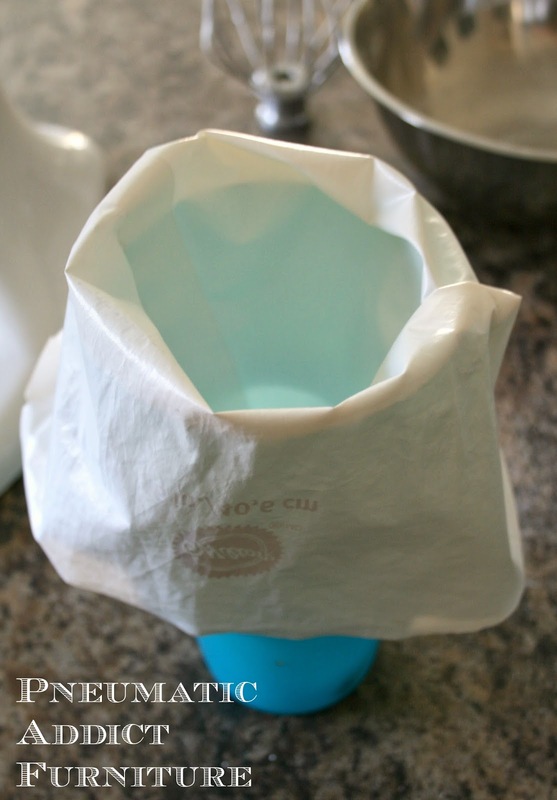 Fold the top of the bag over a tall cup or vase for easier filling. Pipe 1 1/4" circles onto parchment lined cookie sheets. If your batter is the right consistency, any peaks will settle within 10 seconds. If you do have a few small peaks, use a damp finger tip to lightly smooth them out. Firmly bang the pan on the counter 2-3 times to knock out air bubbles. 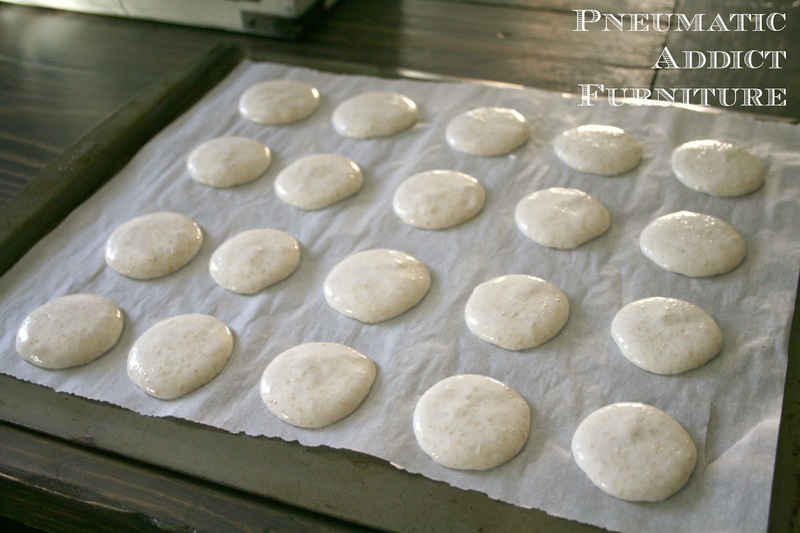 This is the next most important step: let the macarons rest before placing them in the oven! Longer is better. I usually aim for 40 mins to an hour. I have left them for over 2 hours before and they were almost perfect. Bake at 290 degrees, on the lowest rack, for approximately 12 minutes. Keep and eye on them. You want them cooked through, but not browned. Actual time will depend on your oven. Pipe room temperature caramel between 2 shells, place in the fridge, and let mature at least 24 hrs. 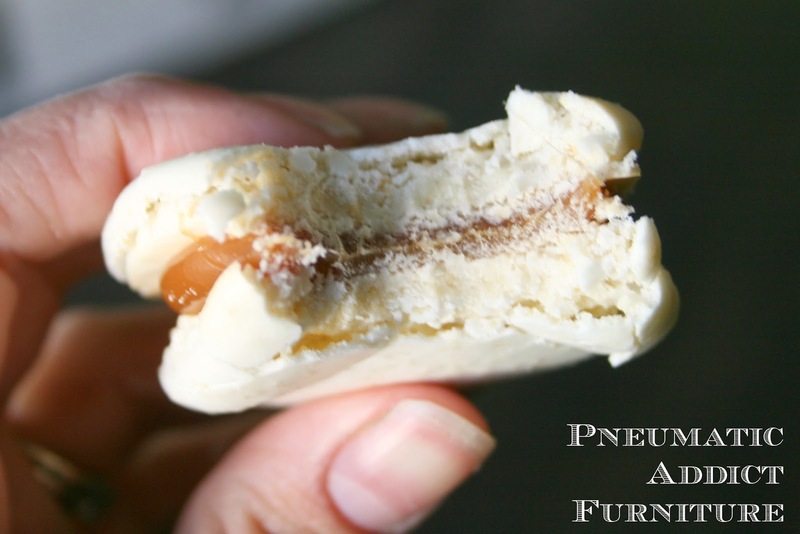 The next day, allow to come to room temperature and enjoy the rich, buttery, chewy goodness. Warning, they can be very addictive! 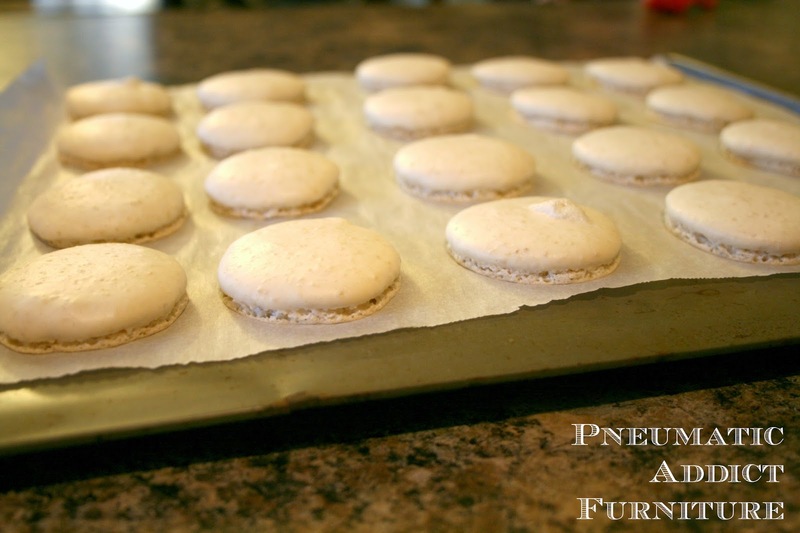 I realize there is a lot more to mention about proper macaron procedure, but like I said in the beginning, this is a simplified recipe. If you have any questions, please ask and I'll do my best to help clarify. Mix sugar, water, corn syrup, and salt in a saucepan. Make sure to dissolve and lumps and brush crystals off the side of the pan. In microwave, warm but do not boil cream and butter. 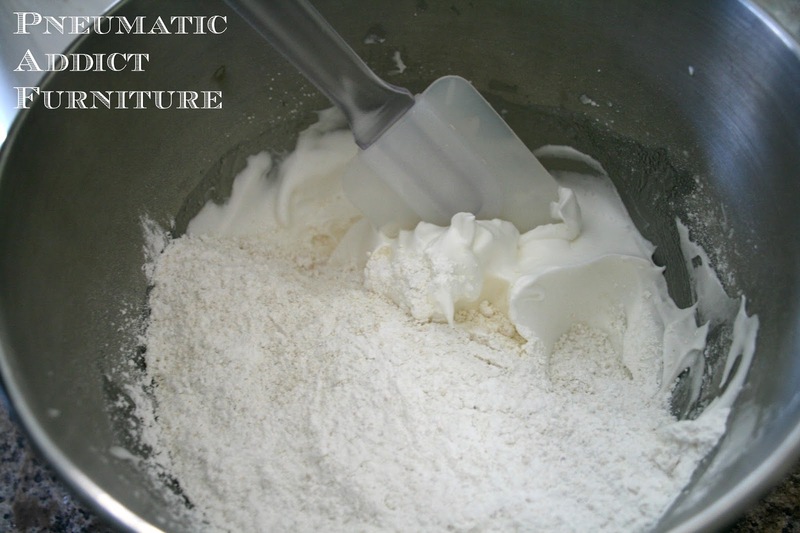 Cook sugar mixture to soft crack stage (270° F–290°). Allow to come to a boil again, and cook to firm ball stage (245° F–250°). Remove from heat and still in vanilla. Allow to cool and thicken to a good piping consistency. 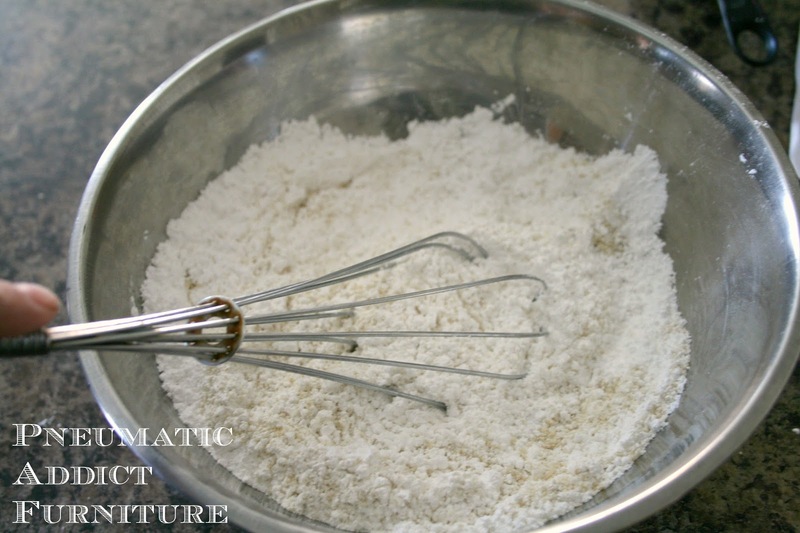 Whisk cashew meal and powdered sugar together in medium sized bowl. Beat egg whites in stainless steel bowl till foamy. Slowly pour in granulated sugar and beat past soft peak stage, but before stiff peak stage. 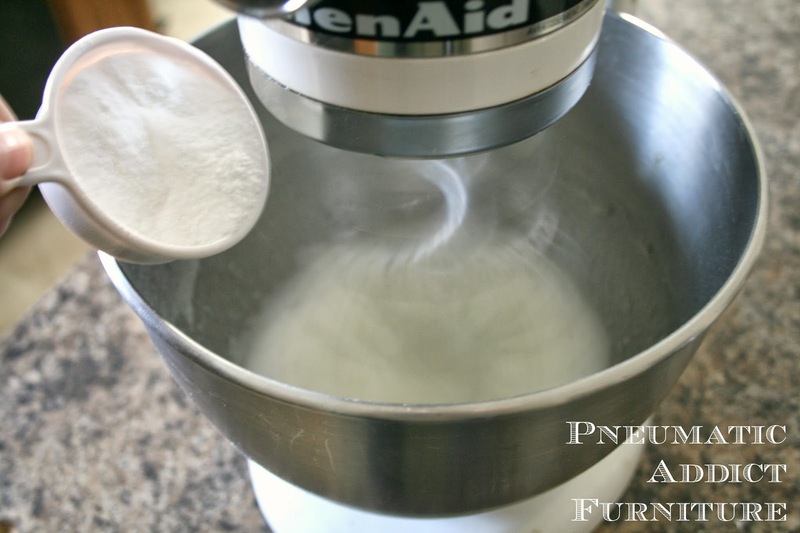 Incorporate dry ingredients into egg whites by gently folding. Approximately 40 strokes. Batter should be consistency of molten lava. Pipe 1 1/4" circles onto parchment lines cookie sheets. Firmly tap sheet on counter top 2-3 times to remove air bubbles. Let rest 40-60 mins on counter. Bake at 290 degrees for approx. 12 mins. Pipe caramel filling between 2 shells. Let mature in fridge at least 24 hours. I don't really like macarons because I'm not a big fan of the almond flavor (love raw almonds, just not things made with almond flour). But cashew?????? Might have to try these. Or show up at your house -- I'll bring power tools! My friends just brought some back from Paris. I can't wait to make some on my own. Looks yummy! this looks yummy! i love macarons! Oh my goodness, I love this! I've made macarons once and was terrified they wouldn't turn out. Thankfully, they were fine, but I've never ventured back to making them again. 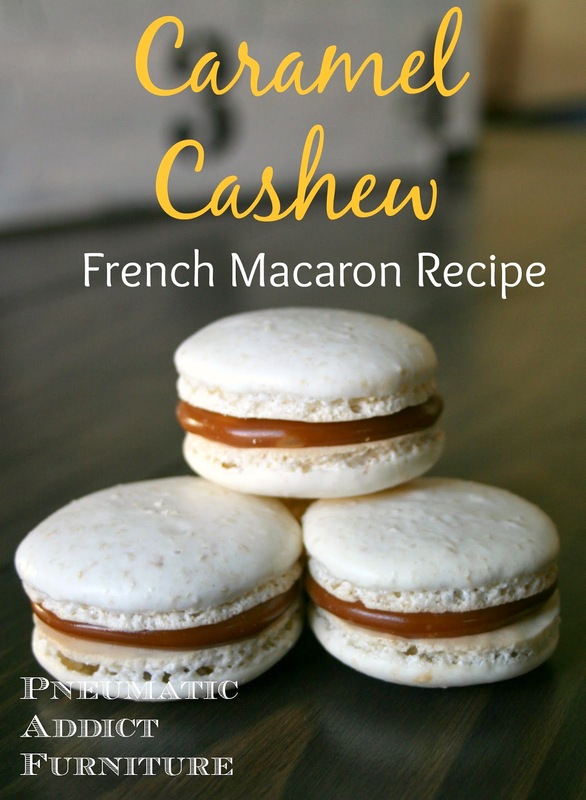 Your switcharoo with cashews is JUST what I needed to motivate me to more macaron baking. Pinning. 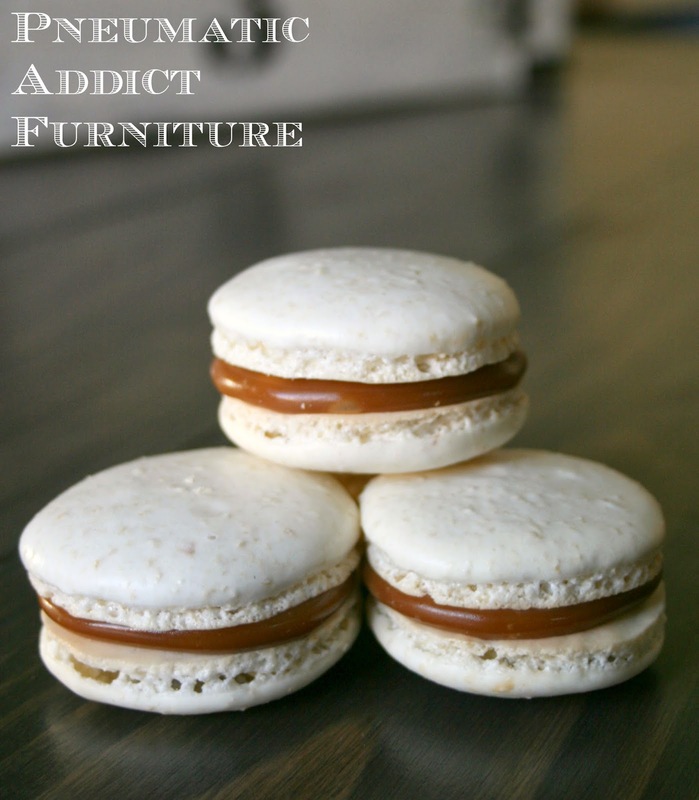 I actually think these sound good, and I have never really liked macarons! I love that you are sharing a recipe, I think you should share all your amazing talents with us! I don't love to cook, but I do like baking! Pinned! great way to add some protein to these! Cashew! What a great addition to the macaron - I've still never tried to make macarons, but mmmmmm these might be the recipe to start with! How funny...I just shared a recipe this week with basically the same caveat...I don't do many recipes, but I do like to bake. I love that these are gluten free. Definitely pinning these to try sometime. Thank you for sharing it at What We Accomplished Wednesdays. Have a great weekend! Even though it's not a recipe blog... your recipe post looks delicious!